Urbana native Roger Ebert’s Pulitzer Prize-winning career began at the age of 15 when he wrote sports for the Champaign-Urbana News Gazette. By his mid-20s, the Chicago Sun-Times hired him, making him a film critic just six months later. Ebert’s zeal for and knowledge of film earned him a 1975 Pulitzer Prize for film criticism, and his work as a critic — in print and television — has made him an American icon. Ebert’s Sun-Times column is syndicated in more than 200 newspapers and his weekly film review program, “Ebert & Roeper” appears on more than 200 stations. Ebert partnered with the late Chicago Tribune film critic Gene Siskel to pioneer his first television program, which began in 1974. Siskel and Ebert were widely known for their thumbs-up and thumbs-down movie rankings. He also hosts the live pre- and post-Academy Award broadcast for KABC-TV and is the co-host of the Cannes Film Festival awards on the Independent Film Channel. Author of 15 books, Ebert’s 2002 The Great Movies was a best-seller. Ebert also works with college students, lecturing at the University of Chicago Fine Arts Program. He is an adjunct professor of cinema and media studies at the University of Illinois. He is known for conducting shot-by-shot film analyses at universities, film institutes and select film festivals. 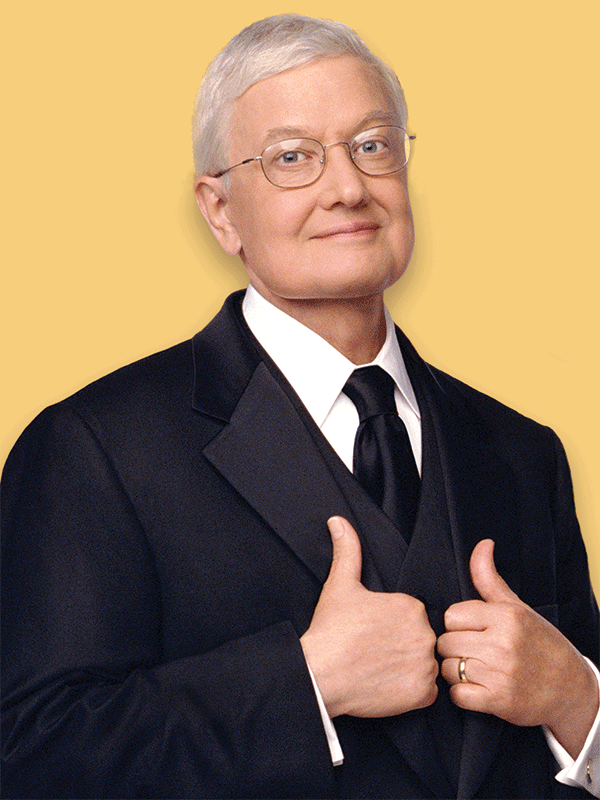 In 1999, he launched his annual Roger Ebert’s Overlooked Film Festival, presented each April in Champaign-Urbana. Ebert and his wife, Chaz, personally welcome festival-goers, who are treated to Ebert’s post-film interviews with directors, producers and stars. Ebert earned his own star on the Hollywood Walk of Fame in 2005. This bio was written at the time of Roger Ebert’s inauguration into the 2006 Illini Media Hall of Fame. Mr. Ebert died in April 2013.